This is summer once again and you might have a getaway with your family and friends. During these times, you have the urge to look at the map, book for a trip or even a hotel stay in order to enjoy every activity you wish to enjoy. And then you have sore eyes. The fun has subsided. You do not want to go to a trip like that. As much as possible, you have to wait for the time when you are healed to enjoy. And this is bad, really bad. When you are experiencing some kind of pain in your eyes with reddening, you might have acquired sore eyes. This brings discomfort to the one who has it. You cannot sleep at night and things will become worse when you wake up in the morning when you find it hard to open your eyes. Sore eyes are caused by several things. When you are in this kind of situation, you will have discomfort in your cornea, sclera, conjunctiva, iris, orbit, extraocular muscles, nerves and eyelids. One of the most believed causes of sore eyes are foreign objects. When you happen to be in a situation where the wind blew hard and failed to close or cover your eyes, there might be some foreign objects like dirt that came in causing sore eyes. The fragment will damage the cornea. Other possible causes are corneal abrasions, keratitis, iritis, optic neuritis, stye and sinusitis. If you think you have these conditions, then, seek medication right away. Sore eyes vary in the degree of discomfort. 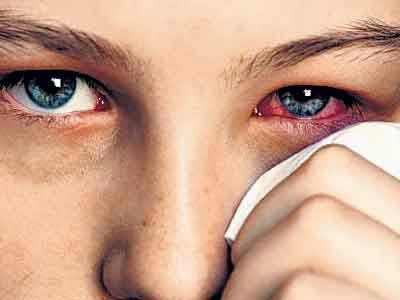 There are sore eyes that will just stay for a short period of time and there are those that will stay longer. If your eyes are entered by dirt and other foreign bodies, wash and rinse right away with soap and water. Also, do not be little sore eyes, you have to seek medical attention when needed.